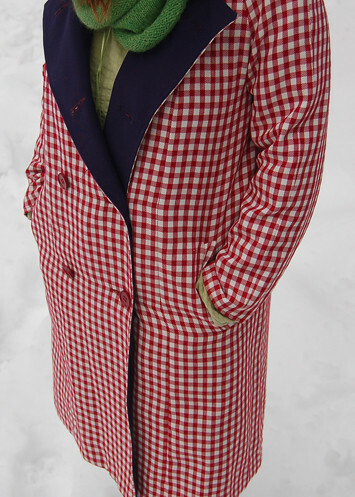 newly thrifted coat | Flickr - Photo Sharing! You're so brave! That's the kind of coat I wish I had the guts to wear! I think it's groovy!! Yeah! Fantastic. Esp. with the green cowl...did you knit it?